Tagged: Gardez votre femme heureuse avec lisseur GHD! This topic contains 103 replies, has 36 voices, and was last updated by Gyor 5 years, 11 months ago. AoW was and will be Epic Fantasy. We’re not going Overlord on you. I think we have proper lore behind everything, and these ‘extreme’ combo’s aren’t just for laughs. Let me tell a bit how we the story has been designed to fit with the classes concept by lifting the veil from the campaign a little bit. In the campaign the Commonwealth Empire aims to absorb and cultivate all the various races to increase their imperial reach sort of like the Romans or English did. Of course some are more equal than others. For example: At one point in the campaign, Nomlik Goblin Theocrat inspires the slave rebellion among the Goblins of the Commonwealth Dreadnought factories. Highly intriguing 🙂 and i was right there will be ideological fight. The story seems amazing, I, however, do not think it aimed to directly give an answer to the “units-cut box” theory. But i wonder…. 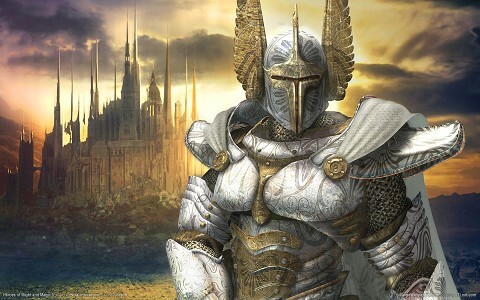 i don’t think we are going to see let’s say elven dreadnought in campaign so everything will be fine with storyline but what about sp maps?I believe some races should get different looking units for same class because it wouldn’t make sense seeing elves with same units and technology as humans if they are opposing them. I’m guessing that you will be able to customize sp scenarios. So if you fell that something is heretical you will be able to change it. I’m a sucker for paladins and angels. My only gripe is that I’m not too fond of their design – angel is completely unarmored and the crusader looks a bit goofy with that pointy helement and robe. Ditch the robe I say and give him a two-handed sword. Now TAHT’s a real weapon. Maybe it’s a bit of a semantic/technical point, but crusaders, to me, have always felt very different from paladins. Paladins are these holy, saintlike warriors. While crusaders are simply warriors who are being sent in the name of religion. Are you guys completely out of your minds? After 10 years Triumph bring AoW back to us and instead of thanking them u bashing ad blaming these guys for making a joke game? Have Triumph ever dissapointed you with his games?No. Then why do you all think they will start it with AoW 3? 1. Making what Dio suggest would be a huge amount of work. 3-4 unique unit per leader(6) + the core units that would mean 30 or more different units per race. And the fact that u cant have these 30 all the tome doest matter because they have to modell it. Oh and you also want atlest 12 race(that means minimum 260 units) or more in game and if not you threating them not buying it, yeah really mature… And you dont see the wholce concept of this game. They want to rid of all the fantasy cliches. Suggesting that a goblin must have a dark or rotten wing is a cliche (goblins are always evil) and Triumph want to minimalise the cliches in game. So stop blaming and bashing especially when you didnt see a single gameplay video yet and u dont know how the system works. ps: Wtf is this dwarf or elf titan whining? That Titan is an undead unit only(99 % sure). You know the archons are undeads now and back in the days archons have titans which are also dead. So you wont se elven or dwarfen Titans im sure of that. I’ve been on that side plenty of times with other sequals: I want the game to be absolutely perfect and have all the greatness of the original, and when I hear some change I’m usually very very skeptical at first. Would it help if we said that, yes, indeed will you have core units of each race that do not change with class and that serve as the base of the class-race combination? Then there are the class units, which add to your pool of available units. So it’s not as if class units are the only units you’ll have: each race will still have their own flavored units. Take a chill pill Tomipapa 😀 yeah I’m skeptical but i’m always skeptical to sequels and besides it’s to early to jump for conclusions. hey i never blamed or bashed. I just made a good , yet hard, suggestion, But i did say i’ll be fine and enjoy the game no matter what 😀 I still believe that we must somehow have an evil side of theocrats. maybe another type of leader. It wasnt for you but there were others who said its a joke and even worse a parody. I just cant understand how people can be so narrow minded when we talk about a fantasy world. Actually i liked your idea but even you have to admit that this would cost triumph way to much time and resource. They are a small independent studio not a mamut developer like Blizzard or Bethesda with unlimited money. Somewhere they said this is their first product which is financed on their own so they really have to think what they will do with the money. Also the current release date is autumn but they stated they wont force the release if its not complete, so u dont have to fear from an unfinished product. Just again to make it clear, I am NOT trying to bash the game or the devs I am just giving my honest opinion about one specific aspect of the game which I absolutely dislike from what I have seen SO FAR, so there is really no need to play “Captain Fanboi to the Rescue”, Tomipapa. Furthermore I had expressed my gratitude about this announcement in the opening post sufficiently I guess. It never helps to keep back criticism IMO. And I think it was even constructive criticism I offered (lower number of class units per class but fully flesh them out optically). I wanted to open this thread to function as some sort of early whistleblowing in case many or a majority of us peeps is not content with these cookie cutter class units. To let TS know should they be going into a direction that the fans do not like. And the earlier we know the betterand the earlier a reaction could follow. So far it seems like there are quite some people who dislike the current direction, among those people like me who dislike it heavily as well as people who are OK with it or even like it. I am not threatening not to buy it, I said I would buy it at a discount and I just say exactly what I think and exactly what I will do describing several possible scenarios. What better information could TS get from a customer survey? You are making quite a lot of 100% and 99% promises here, Tomipapa, without knowing pretty much anything about the game, don’t you? Can I sue you should your previsions not come true? Re: Titan: The Exalted (Angel) is a top tier class unit for the theocrat, so my assumption was that the Titan, being a very powerful unit itself in AoW2, is also a class unit for one of the leader classes. That’s only an assumption, yes. What are you basing your assumption that the Titan is an exclusive racial unit of the “Undead Archons” on? Maybe you guys from TS could already shed some light on this “titanic problem”? I see already that you, Tomipapa, and me have very different perspectives and opinions about games, since I like H6 a lot, although it has its problems, and I think that Disciples 3 has absolutely marvelous art direction. Quite the opposite to your opinion. So I guess it will be better if we don’t start to argue about things that are related to personal taste. It also doesn’t help to call other people narrow-minded when all it is about is aesthetic taste. De gustibus non est disputandum. For me it’s not so much an issue of unconventional fantasy units taking the place of more traditional fantasy units, it’s more an issue of too many units being the same(even if it’s just visual). I want diversity/variety in the units, even if it takes using something like Kickstarter(or some other donation system) to raise the funds to make it happen, or even paying a little more for the finished product. I think we all just want the game to live up to it’s predecessors, whatever that may involve. See, my first thought upon seeing the dreadnought machine and the flyers in the trailer was that that was a departure from the tone of the previous games; but then, there were flying machines, firearms and explosives since the very beginning, and tanks since the second game. Besides, the moders image of ‘paladins’ and ‘crusaders’ is largely shaped by fantasy RPGs & table top games and has pretty much nothing to do with the original meaning of the terms (the first warrior paladins were Charlemagne’s non-divine knights; and every random shlub with enough drive to get up try to capture Jerusalem for the pope would be a crusader). The way I see it, Triumph Studios and everyone else have much freedom in the use of those terms. Im not that fanboy type, just calling the game or the concept parody or a joke is a bit hars. Honestly when i first saw that goblin angel my first thoughts was wtf is this? But the more im seeing into it the more i like it. I can imagine these miserable goblins suffering in the mines and factories till finally one stand up and saying enough! and leading them to a rebellion later a crusade. as for the units. As i said earlier making 3-4 special units for every leader typer/race is way too much work. Even with 2 as you suggested it still a tough job(6 leader means + 12 unit/race counting for lets see 10 race=+120!! units) and only 2 special units/leader means that nearly the whole concept is gone. Because why should i play as a goblin druid after the warlord if only 2 units is different? And can you guarantee if they made these units that you will like each one of them? Ofcourse not. And here we are again where all started that you will want to change this or that unit because you dont like it. No matter how many units they make they cant do it for everyone taste. We won’t nearly get 10 races for the initial release I think I read somewhere, maybe 6 races? Then it’s only 60 additional units (1 set of 12 they have to produce anyway). Nothing that could be called impossible if they employ 1 or 2 additional modelers for 6 months I’d say. Why should reducing the class units to 2 per class destroy the concept? You are by intention or just subconsciously seeing only facts and numbers that fit to your opinion, I’d say. I asked you not to start that crappy discussion about taste re H6 and D3. How I hate that stupid notion to reiterate one’s own opinion again, and again and again, in every fantasy tbs forum imaginable, and think the opinion would somehow transform to truth then. But here you go. D2 already had great art style but D3 is even much better for most of the units and environments. Which Heroes is better, H3 or H6? I am a Heroes fan and tell you H6 is better. What now? Will you say I am not a true(TM) Heroes fan now? So please, let’s leave this crappy non-discussion or at least open a different thread in the OT section. Where is the limit when the “new concept” transcends “nothing” and becomes “real”? 3, 4, 5 units? Or not rather only at 10 units? That’s again purely arbitrary and matter of taste. I don’t say H6 IS a better game than H3, this is what the typical elitist H3-fanboi and owner of the truth(TM) like u does, saying something IS better than something else. I am saying I THINK H6 is better or I LIKE H6 better. Because more fans like H3 better than H6 and reviews are higher and has sold more copies or has achieved “legendary status” (define! ), you say it is a TRUTH that H3 is better? Guys, what’s up with all that moaning? Has Triumph Studios ever made a game that wasn’t great? So far there exists no scientific proof that they are even capable of creating a crappy game. There’s a first time for everything. I’m not saying that Triumph Studios will screw up AoW3 but well done sequels(if you want to call AoW3 that) are not always a foregone conclusion(i.e. the aforementioned HoMM series). @tomipapa:I said I will, when release nears, check if what is offered is sufficient for me and then decide whether to pay full price, discounts or not buy at all. It may well be that I fall absolutely in love with the new system but surely not with those ugly Goblin angels and similar stuff. And this is what this thread is all about. It didn’t come to your mind that, having read my introductory remarks to this H3/H6 D2/D3 “discussion” everywhere and afterwards when I was stating “H6 is better”, that I was exactly switching to the “discussion level” of yours to demonstrate you how ridiculous such a statement is? All this stuff you are bringing up for “measuring” a game is only worth so much as you can say in the end, that a majority of people like H3 better than H6. Which is a statement I can absolutely accept. But types like you always have to come up with this “truth” crap. Yes, I value personal opinion sometimes very high. – A public opinion survey in the US and Russia revealed that 180 Mio. people said that Wodka is better than Whiskey and 120 Mio people said, Whiskey is better than Wodka. – about 2.1 Bio. people say and believe that the Christian moneotheistic god Jahwe is the only god while 1.3 Bio. people say and believe this is Allah. These are called “Majority Opinions”, not “Truths” or “Facts”! My goodness, back to basics! I think that having class specific special units is really awesome. Racial units + Class specific units + Summons = diversity. However I think that class specific units should be based on the races. Like an Orc angel type unit with cute little wings _IS_ extremely weird, fantasy clichés or not. It looks weird and it feels weird. So an Orc theocrat shouldn’t get angel type units, but something else, which won’t “shock” the audience. Like BBB (Zamina) said, you should chill out somewhat, guys. Sequels can be good or bad depending on several things and the criteria people judge by may vary from person to person. Which leads some to like what someone else calls crap. I did not particularly care for some aspects of AoW2 and AoW:SM compared to AoW1m but I still think they were good games and good sequels and I played them. Not as much as AoW1 though and given the choice between them, I’ll always pick the first one. The other two are still good games. Obvious bugs and design flaws that allow exploitation or that skew balance are bad things and can make for a bad game, but all we have so far are a few snippets of teaser information and some screenshots plus one trailer. That’s an awful little stuff to use as a basis for leaping to conclusions. Another thing I’m going to address here, and this is aimed more at StupendousMan: You say that it’s no big deal doing a whole bunch of 3D models, textures and meshes for all kinds of units and why not hire a couple of extra modelers to do it? Well, hiring someone who does that sort of thing for a living costs money. Hiring quality professionals costs even more money, because I do not expect that Triumph wouldn’t want to hire just any shlub with uncertain skills and uncertain quality of work. So who’s going to pay for those extra people’s salary in the meanwhile? You? Or will you pitch in yourself and do some of that work for them as a favor? Do some of that work on your own time and offer the results to them with no strings attached (other than getting a mention in the credits)? Thing is that Triumph already has a fairly sizable team developing AoW3 and they’ve worked out the economic side of things (and probably even stretched it somewhat to get more done). Why not give them some time to actually work on the game and reveal some more details about it before calling for a drastic change in how some things are done? There are generally two types of people: Those who talk about doing something and those who actually do something and this thread so far has a damned sight more of the former than the latter. I’ve seen things like this in other game forums, a lot of hot air and talking about how this, that or the other thing should be done, and how it’s present state is being done all wrong, but when it comes time to actually step forward and maybe do something about it, all you can hear is the damn crickets. So, if anyone feels so very strongly about it that they think more work needs to be done, a dozen or two dozen models or something, or whatever else, how about show some initiative and step forward? Volunteers? Personally, I don’t have a problem waiting for more news and details and seeing how this thing develops.